Ultimate Florida Tours was created in memory of Rick Rosen, father of Jon Rosen, CEO. 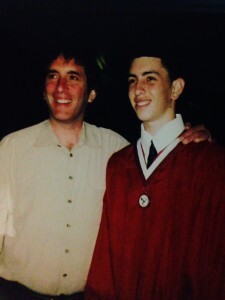 In November of 2009, at the age of 51, Rick Rosen lost his life to a massive heart attack leaving behind his two kids, Jon and Allie, who were 19 and 17 at the time. Three years later, with some funds left behind by Rick, Jon took a big risk to try and start a business in memory of his Dad. He looked at it as an opportunity to keep his Dad’s spirit alive and a way to make him proud. As you could probably imagine, Jon had a very strong passion from the very beginning and put everything he had into trying to start a business at just 22 years old. After some early bumps in the road trying to figure out how to balance school and start a business, Jon managed to get on his feet and began a Segway tour. 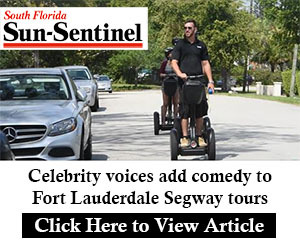 Through time, he eventually expanded his Segway tours from Deerfield Beach, to Hollywood Beach, and then finally to Fort Lauderdale. 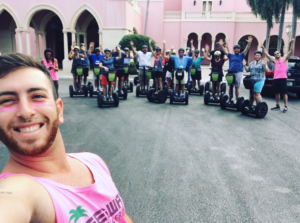 Now at 26, Jon has completed his Bachelor’s Degree in Business Administration from Florida Atlantic University and has provided countless families, couples, and friends life long memories through his tours while continuing to grow and prosper within the tourism industry in South Florida. R i d e . E x p l o r e . D i s c o v e r .
Jon has been endorsed by The Greater Fort Lauderdale Convention & Visitors Bureau for building one of the most popluar tourist attractions in Fort Lauderdale and is a two time recipient of the Tripadvisor Certficate of Excellence Award. He has also had appearances on our local Channel 7 News and ABC News, as well as SFL TV. Most importantly, he has used his business to have fun with foster kids showing them the Segway, giving them tours at no cost to their organization, and donates his tours to numerous charities and events supporting the community. This is a very special business to Jon, and he very much feels he is being guided by his father who he had a very close relationship with. Expect to have a special experience with Jon and his small team rallying behind him. We thank you for taking your time to learn about our story and if you have any questions at all or are interested in Jon’s tours, call anytime at (954)304-5746 and speak with Jon directly or his assistant Jennifer.